As we previously shared, Toy Story Land at Disney’s Hollywood Studios will join in on the holiday fun this year by dressing up for the holidays with fun new seasonal decor. Today we’re happy to share a first look at what our “Toy Story” friends – Woody, Jessie and Buzz Lightyear – will wear in Toy Story Land this holiday season. Guests visiting during the holidays can expect to see Woody in a holiday vest adorned with a Christmas tree and presents, as well as a candy cane accessory for his holster. Jessie will also trade in her cowgirl vest for a red holiday vest trimmed in a peppermint pattern, while Buzz Lightyear will add a sparkly Santa hat to his out-of-this-world ensemble. Check out the video above for a sneak peek at what our friends’ holiday outfits will look like – and don’t forget to check the My Disney Experience app on the day of your holiday visit for the latest character greeting times and locations. In addition to holiday character greetings, guests visiting Toy Story Land beginning November 8, can enjoy the land’s new holiday decor, including including oversized cranberry-and-popcorn garland, a holiday card “selfie” of “Toy Story” pals, an oversized Hamm sugar cookie, Green Alien ornaments and more. 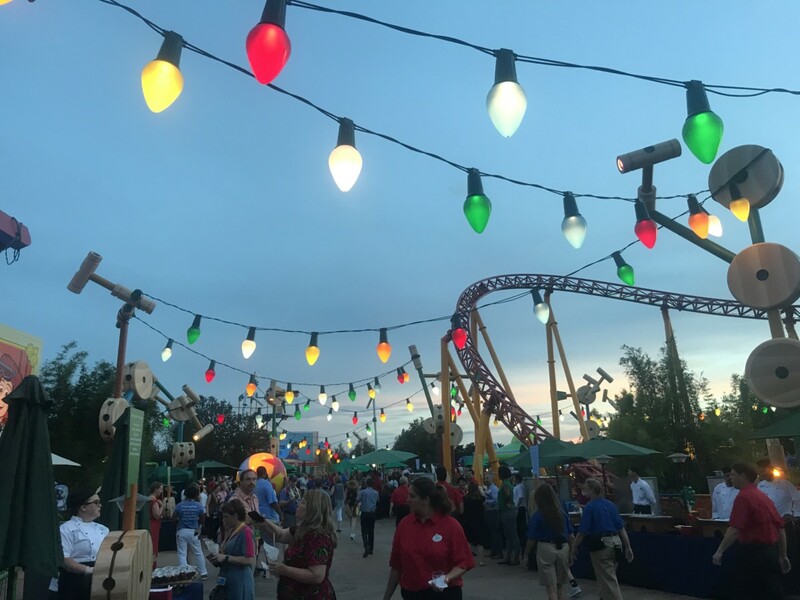 The land’s attractions will also be plussed up for the season with new holiday audio or music: guests will hear sleigh bells ringing on Slinky Dog Dash, while Alien Swirling Saucers will offer two holiday tracks, plus themed lighting.